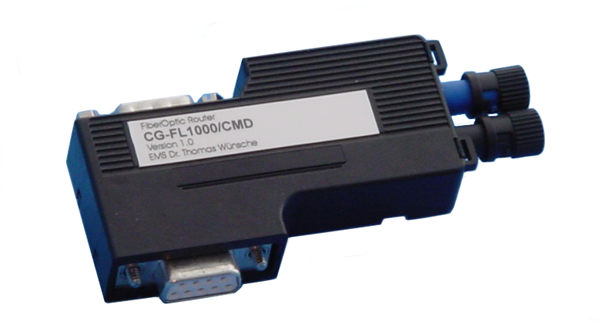 The CG FL CAN Bus fiberoptic router, fitted in a compact housing with integrated connector, transmits data between CAN subnets via optical fiber. It allows the realization of the high CAN data rates on the copper based segments while high system extension and short latency times are achieved at the same time. The underlying technology offers the possibility to run the subnets on both ends at 1Mbit/s, earning the benefits of short reaction times and high data throughput. Safety related control with SafetyBUS p is supported by the model SBR FL. This model has automatic baud rate detection and baud rate switching capability compliant with the SafetyBUS p standard. CG FL has a male and a female D-Sub-9 connector to attach both CAN and power supply. 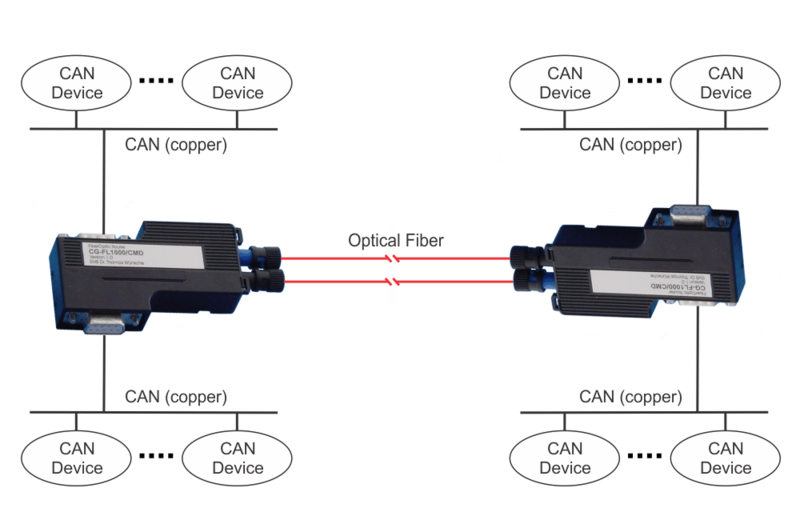 The optical fibre is connected by a pair of ST plugs. 62.5/125µm or 50/125µm multi mode glass fibers can be used. Any (also temporary) stress in excess of the limiting values may cause permanent damage on CG FL and other connected devices. Exposure to limiting conditions for extended periods may affect the reliability and shorten the life cycle of the device. vice. All values, unless otherwise specified, refer to a supply voltage of 24V (CG FL) or 5V (SBR FL) and an environmental temperature of 20°C. Fibre length specifications are valid for fibre damping of 3dB/km without additional patch panels.